MIDGES: SOME BITE AND SOME DON'T. FISH LOVE 'EM. 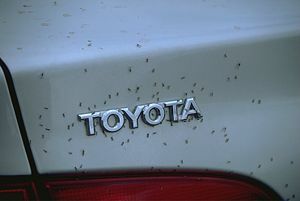 MIDGES: Have you ever noticed a large number of bugs squashed all at once on the grill of your vehicle? They probably were an unassuming swarm of midges. Other than dirtying your ever so clean hood, bumper, and windshield, these critters are a beloved staple of the diet of many prized angler fish. Trout rely on the larvae to get them by early in the season. 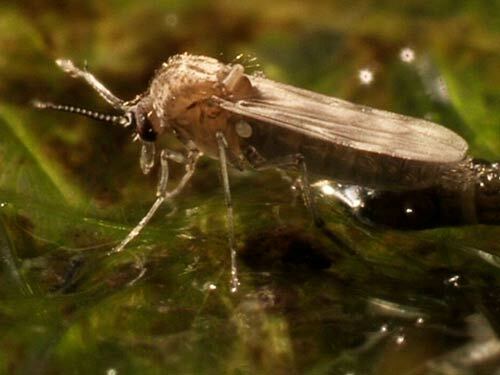 Even though larvae are exceedingly small, a hungry trout cannot be picky. Since it is such a common food for trout, the little bug makes an excellent fly fishing "fly". This insect can be from one of many families of Nematoceran Diptera. The family includes a number of small flies which commonly live their adult life as flying, biting insects. Some of them feed on plant nectar. They can be found anywhere near water, because the female relies on water to lay its eggs so that the larvae can hatch and fall into the water, and begin its life cycle. How many of you have heard of the “no-see-ums”? I’ll bet if you live on the west coast of Florida and elsewhere along the Gulf of Mexico, you are very familiar with them. The first time I visited Sanibel Island I thought I was hallucinating. I felt their bites but never saw the culprits. I finally was told about the Ceratopogonidae (no-see-um). What nerve this bug has!! At least with the mosquito you can see it coming. The life cycle begins with an egg hatching near a pool of water. After hatching, the tiny insect will assume the larvae form and make its way into the water, where it will live until it is well developed and ready to proceed to the pupae stage, and finally into adulthood to complete the cycle. The larvae are a ubiquitous component of almost every trout habitat. 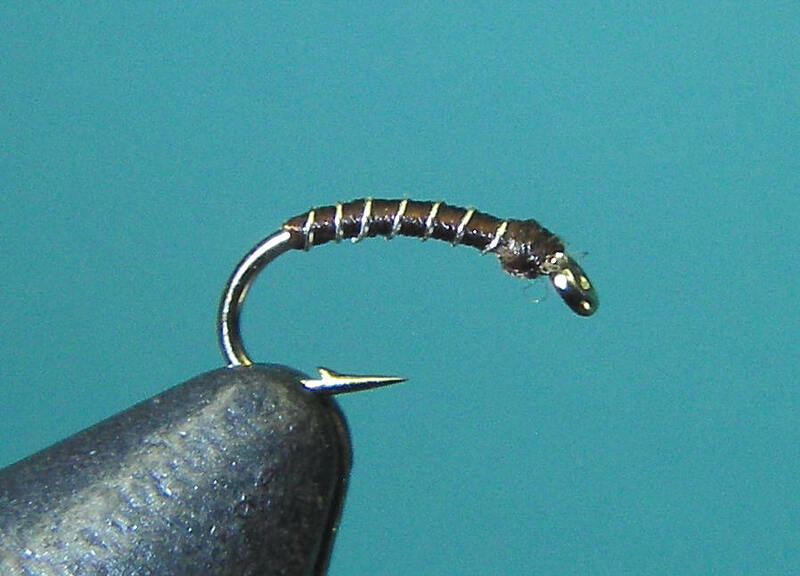 It is because of the widespread availability of larvae in the wild that artificial flies designed to mimic it are relatively effective when fly fishing for trout and other types of game fish. “Flies” come in a variety of designs because the midge is such a diverse group of flies and larvae. No angler’s box is complete without a selection of these modeled flies! Tie a #24 on your tippet and get ready for action!! Click here for a list of POPULAR FLY PATTERNS from around the U.S.